Think She Loves Her Babies? | Don't Worry. Think She Loves Her Babies? 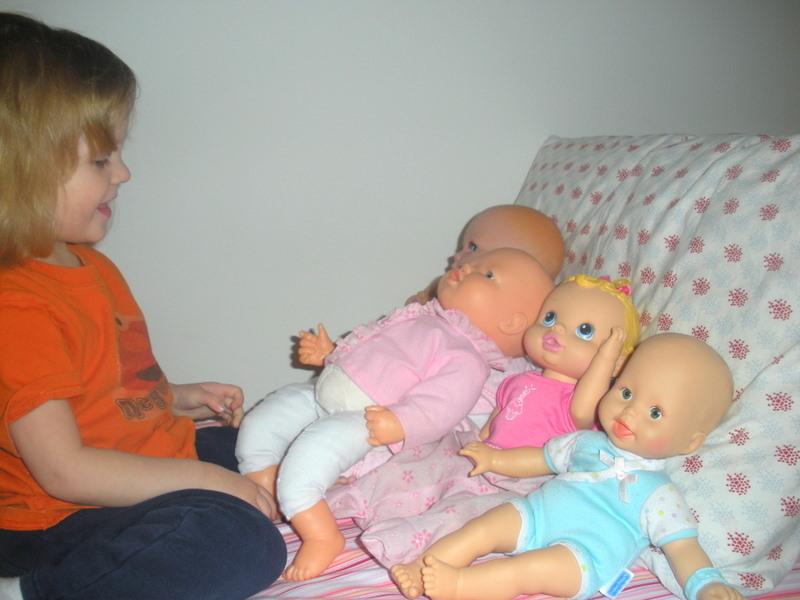 For the longest time there was NO way to convince Megan to play with her baby dolls. She calls them each by name, and when she gets juice: they all need juice. When she gets a diaper change: they all need a diaper change. When she gets snacks…well, you get the idea. This is super cute. 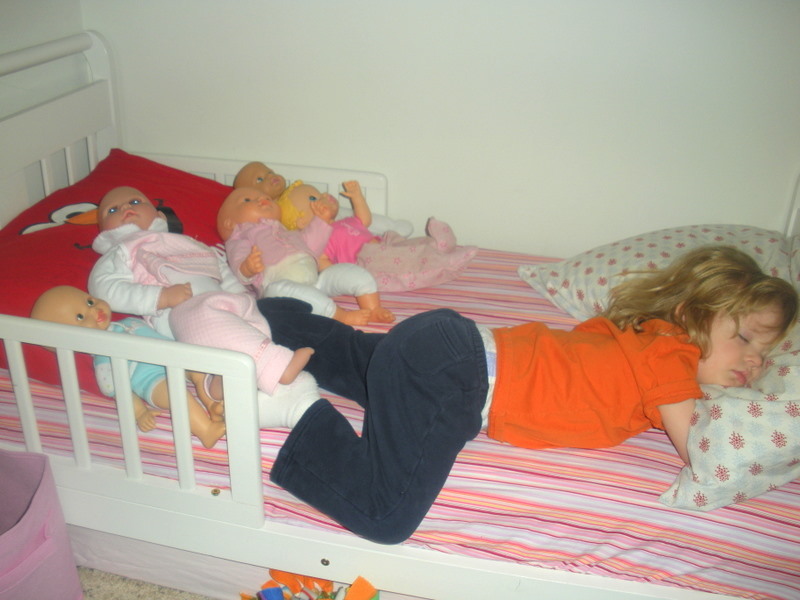 Allison and Michelle do similar things with Monkey and Niny on pillows in their beds. 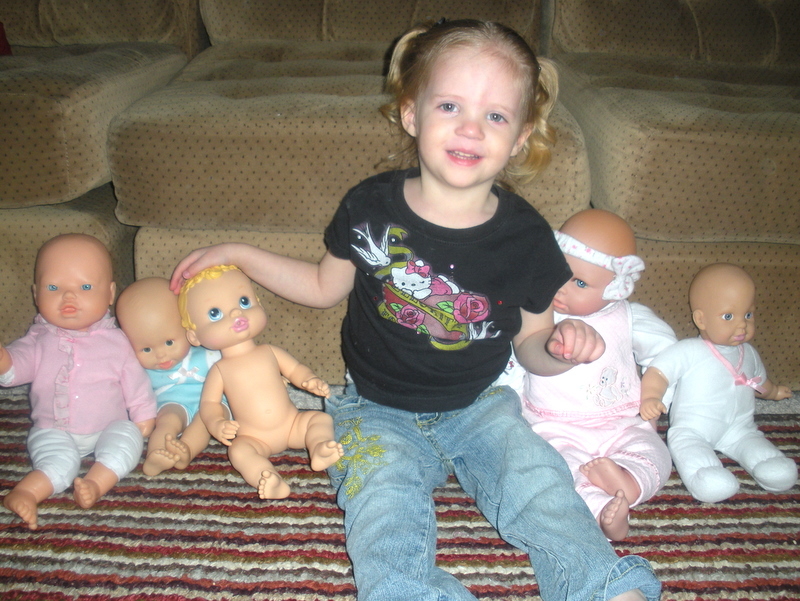 Whenever Allison plays with dolls, she has to have 2 … either 2 or none. I laugh to myself because twins run so dominantly in my family … like wouldn’t it be funny if she had twins one day? 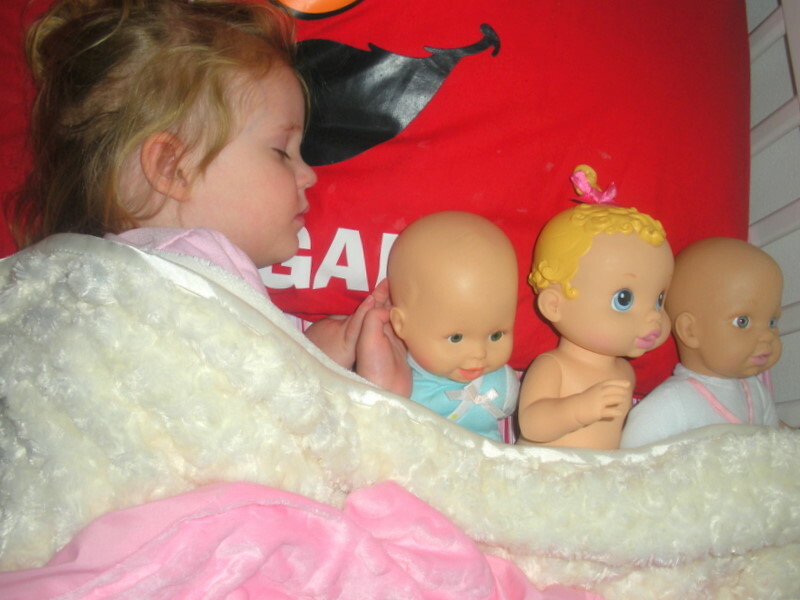 So – it seems like Megan is really good at taking care of quintuplets … 🙂 Also, it seems like these babies might be contributing to Megan having less uncomfortable-looking sleep positions! I love that pic of them all at the foot of the bed. So funny. What did we do before digital cameras? That is so awesome! These pictures are so sweet. 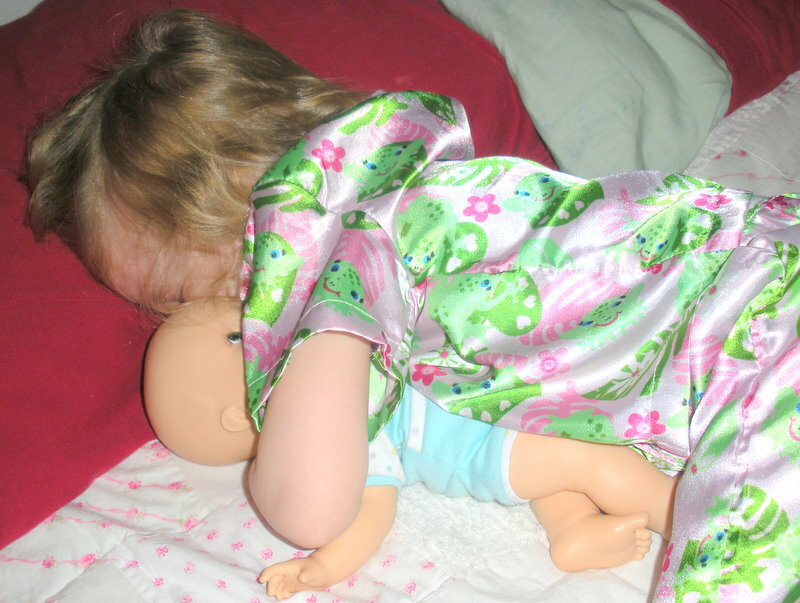 One of my favorite pictures of one of my girls is one where she fell asleep “reading” a book when she was about Megan’s age. These reminded me of it. Thanks! 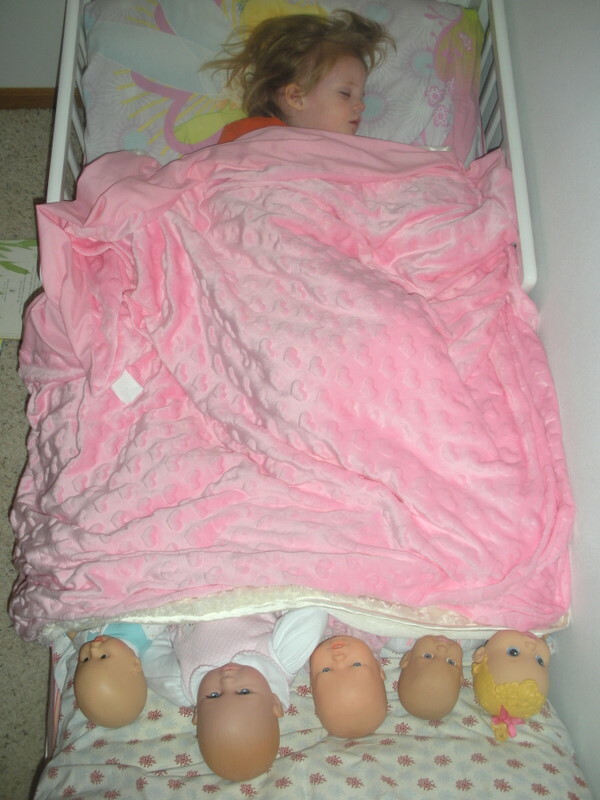 I don’t remember if my girls named their dolls like this but I know my niece did. How did Megan name them?